I stumbled on Citizen Cope/Clarence Greenwood a little late; What a fantastic work! This is an incredibley soulful artist. Every song (on his every album) is a perfect, simple, deeply felt composition in my opinion. I think his style very gracefully belnds the lines between reggae, blues, rock, and a touch of East Coast R & B.
I saw this cd in a magizine with rave reviews, so I listened to it on my computer and, to be honest, wasn't impressed. At first glance, the songs sounded the same and the lyrics weren't important. But for some reason, i listened to it a couple of times and found it grew on me! now, i love this cd and listen to it often! Citizen Cope first grabbed my ear in the duet of "Sideways" with Carlos Santana on the latter's "Shaman" album a couple of years ago. It was the highlight of an otherwise so-so recording. That song is reprised here (sans Santana), along with ten other tunes. 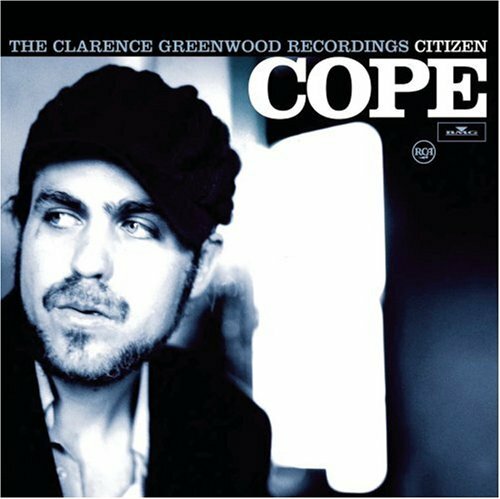 Citizen Cope sounds like a chilled-down version of Jamiroquai's Jay Kay, yet his sound is one of the most unique and recognizable I've heard all year. With a spare, loping jazz-rock framework and an almost hip-hop backbeat, Cope presents his songs with a certain laconic energy (oxymoron, I know), and a marble-mouthed delivery that somehow seems to work. "Bullet and a Target" is the most arresting song in this collection, with its theme of world and domestic violence. But there are several other choice cuts too, such as "Nite Becomes Day", "Pablo Picasso" and "Son's Gonna Rise". This is effective, affecting, socially conscious rock with a healthy dash of funk, and one of the best releases of the year. Why isn't anyone talking about this kid! Nothing entirely "new", but a masterpiece in itself! When I popped this thing into my computer (Mine does play in the computer, don't know why since I've read a few complaints about that...), I just intended to play it as background music. See, I'm part of a website for listeners that gives away free CDs in exchange for an honest opinion of them. Not all of the CDs have been great and I wasn't expecting this one to be! Anyways, it did take a few plays for it to "hit" me. I initially started repeating the even # songs - 2, 4, 6... Even though #2 is really silly lyrically (it's cool at first until you hear the last line), I think it's powerful. I'm giving it 4 stars because the CD is good enough to share with friends, without having to worry about hearing it on ClearChannel stations 90 times a day! I can't wait to hear him live. Better than anything else out there,. I can not believe how great this album is. I first heard the song "Son's Gonna Rise" on a commercial and instantly downloaded the song because I wanted to hear it again. When I had the oppurtunity to get the CD for free through a site, I hesitantly ordered it (I redeemed the CD with points I had accumulated for doing random activities). After I receieved it in the mail, it sat around for a while before I actually got around to listening to it. I wish I had listened to it sooner. My like all the songs, but my favorites are definitely going to have to be "Bullet and a Target", "Pablo Picasso", "Penitentiary", "Sideways", and "Hurricane Waters"...and that's about half the album. I can't get this out of my CD player.